Attorney Jay Chavkin founded Personal Bar Prep, the small group bar review course, in 1995 and has worked successfully with students from law schools all over the country, preparing them to pass the California bar exam. He lectures on fourteen subjects for the program, but his primary focus is on running the small group sessions with students. His dedicated time with small groups has enabled everyone from first-time takers from top-tier law schools to students struggling with learning disabilities to multiple-time repeaters to pass the bar exam. Jay Chavkin earned his B.A. in political science from UC Berkeley and earned his J.D. at Loyola Law School where he published in the Loyola of Los Angeles Law Review. He then passed the California bar exam on his first try. He worked as a research attorney for Los Angeles Superior Court and a civil litigator. He has had an active private appellate practice and has appeared before the California Supreme Court, California Courts of Appeal, and the Ninth Circuit Court of Appeals, but he now dedicates all of his time to the business of tutoring and bar preparation. 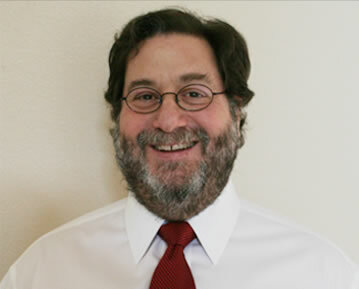 Jay Chavkin is also a California bar exam tutor working with bar exam students privately throughout the year. Jay also supervises the Personal Bar Prep baby bar review course. Our director, Jay Chavkin, was invited by the Los Angeles Daily Journal to write the model answers to bar exam questions from the July 2014, February 2012 and July 2012 California bar exams for the Los Angeles Daily Journal’s November 2014, May and November 2012 New Lawyer Supplements. These supplements are published contemporaneously with the California bar exam results and include the Los Angeles Daily Journal’s preferred model answers to the essay and performance test questions from this exam.